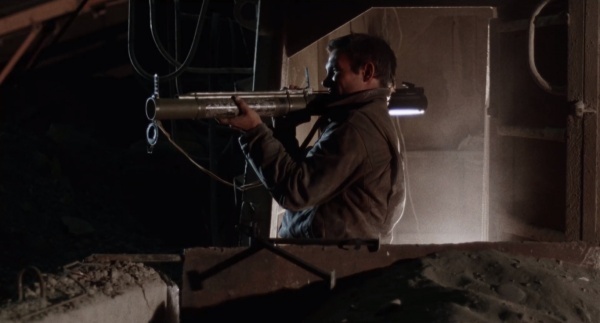 Unknown machine gun seen on the wall of Jaffar's base. 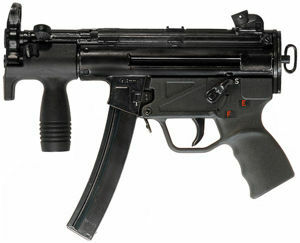 [[UK vz. 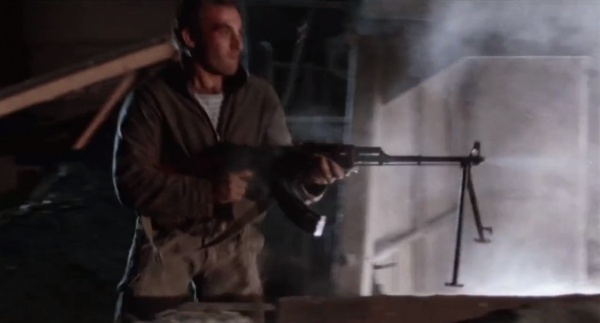 59]] machine gun seen on the wall of Jaffar's base. 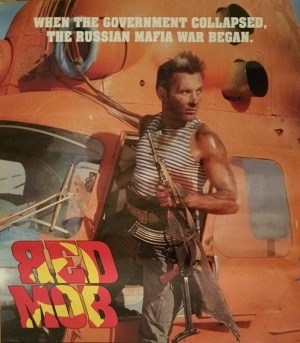 To Survive (also known as Red Mob; Russian title: Чтобы выжить, Chtoby vyzhit) is a 1992 Russian thriller. 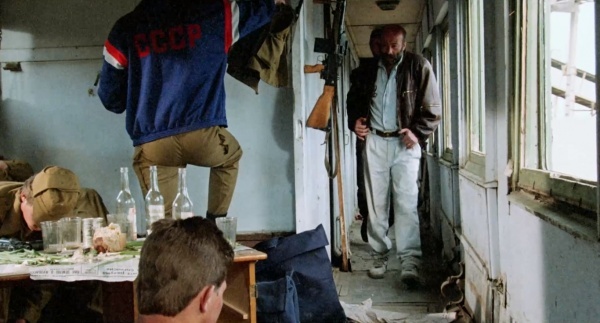 Emissary of the former "party mafia", nicknamed "Jaffar" prepares and implements a series of provocations and terrorist acts on the outskirts of the country to create the preconditions for a coup. 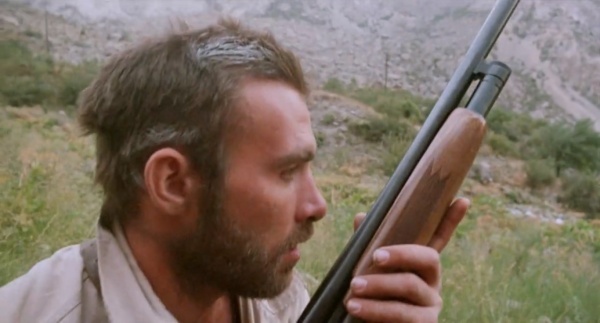 During a attack on one of the army armories wounded his conductor. 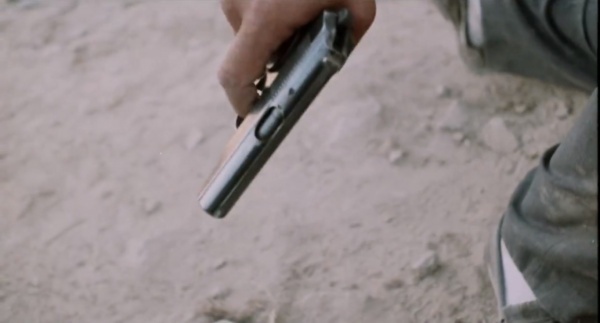 One of Jaffar's henchmen was armed with the FN Barracuda Revolver. 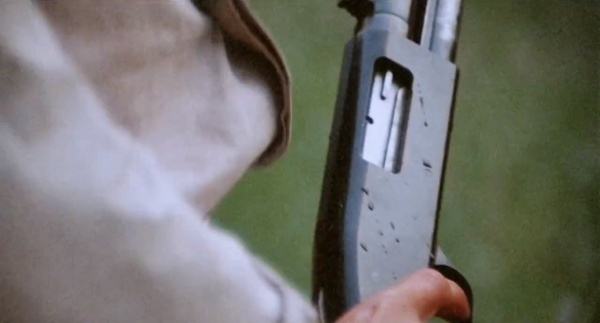 FN Barracuda Revolver. 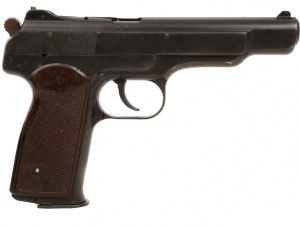 It was manufactured in 9x19mm, .357 Magnum and .38 Sp calibers. 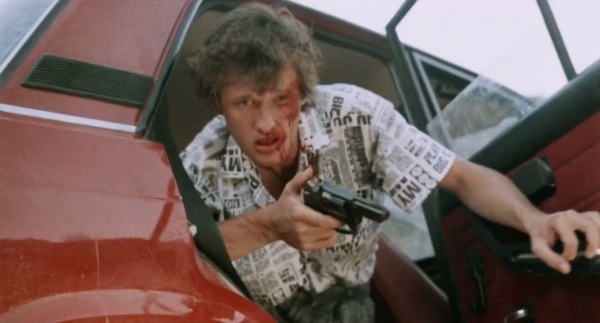 Oleg (Vladimir Menshov) uses Stechkin APS as his sidearm. 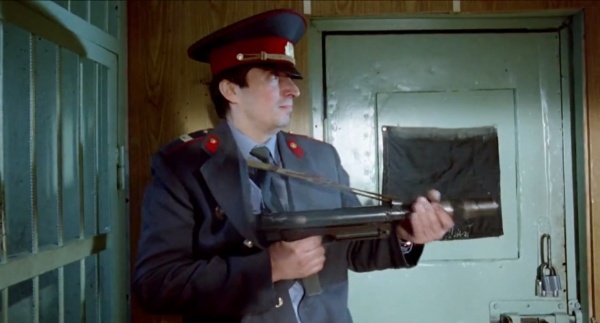 One of Jaffar's henchmen armed Makarov PM. 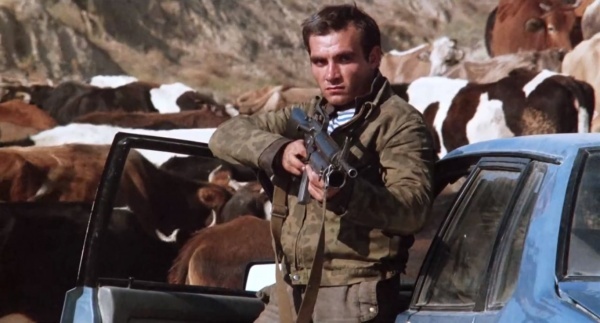 At the beginning of the film, in an attack on a police station, one of the gangsters carries Makarov PB. 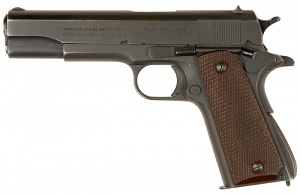 One of the Jaffar's henchmen used M1911A1 during shootout on the airport. 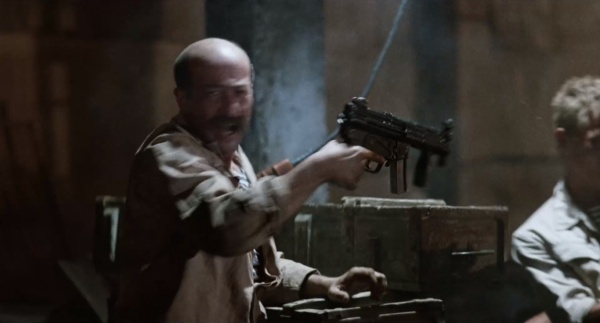 Jaffar (Aleksandr Rozenbaum), throughout the film carries MP5K with 15-round magazine. 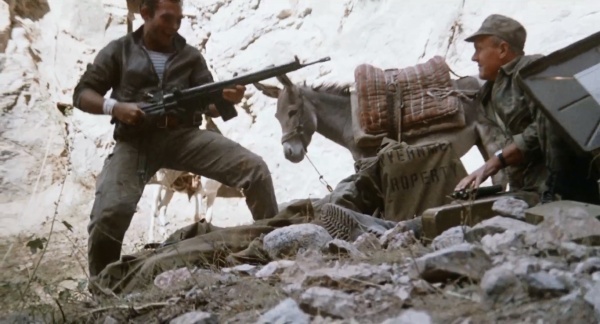 One of the main weapons was used by the mercenaries, is a Sa.26 submachine guns. 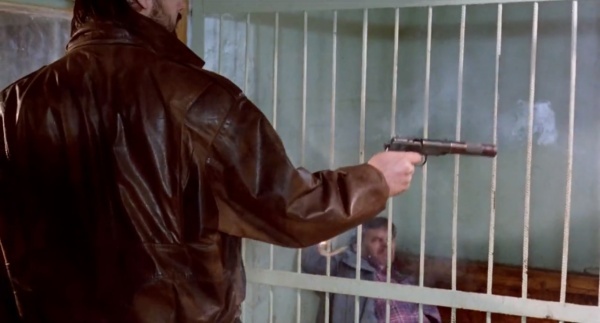 Gangster, disguised as a policeman fires supressed Sa.26. 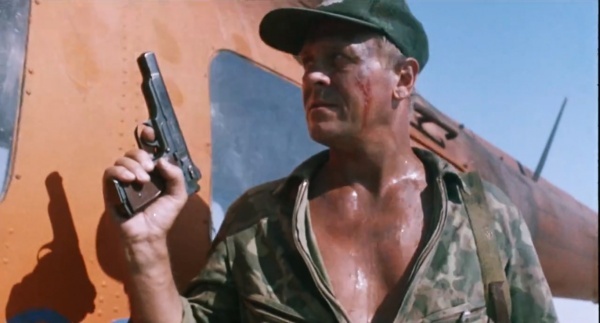 The suppressor is a real PBS-4. 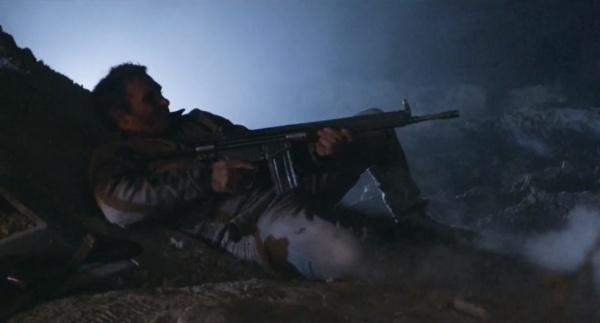 Several Jaffar's mercenaries carries the Uzi submachine guns. 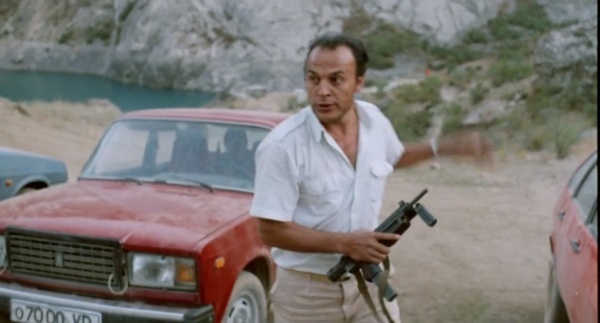 Oleg (Vladimir Menshov) also uses Uzi in the nightly shootout. 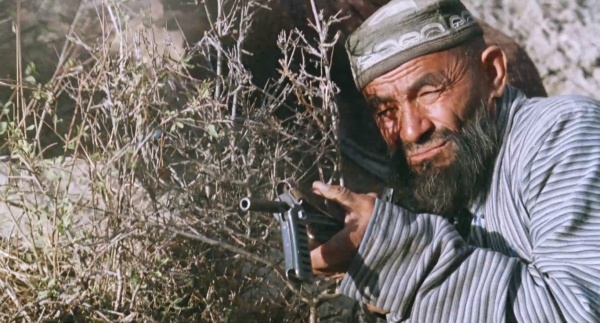 One Jaffar's man armed AK47. 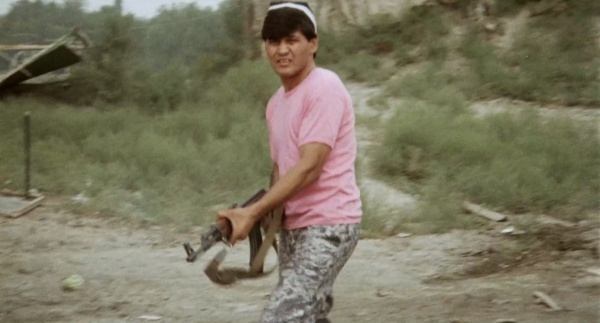 Some Jaffar's thugs armed with the AKS-47 rifles. 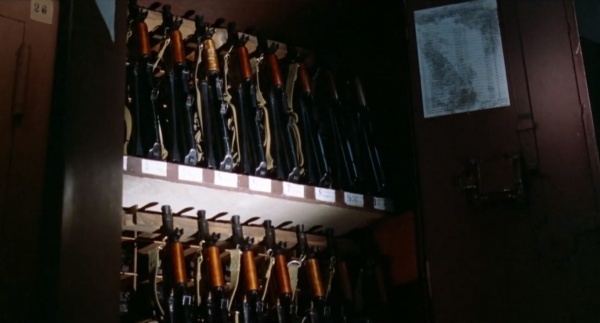 Plenty AKS-74U rifles seen at the beginning of the movie in the armory in a police station. 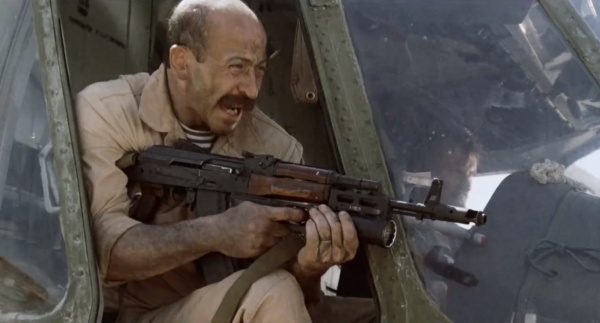 Jaffar (Aleksandr Rozenbaum) uses in the end of the movie AKS-74 with GP-25 grenade launcher. 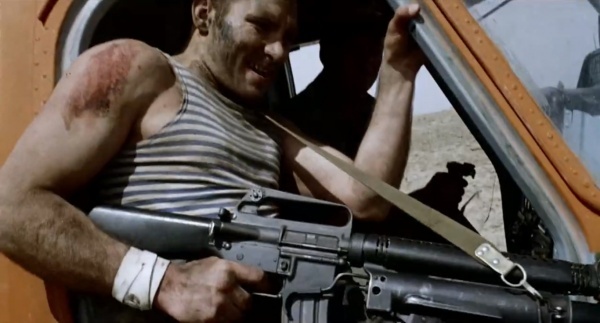 Nikolai (Sergey Veksler) uses M16A1 rifle with XM148 grenade launcher. 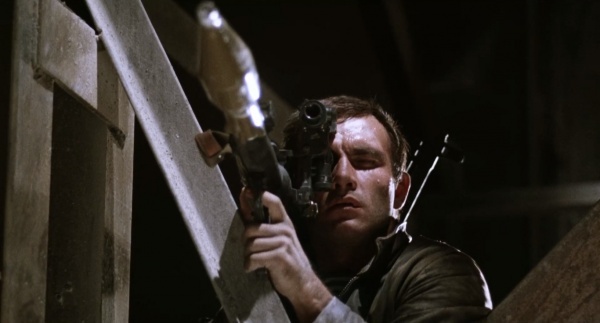 XM148 (40mm) mounted on M16A1 (5.56x45mm). 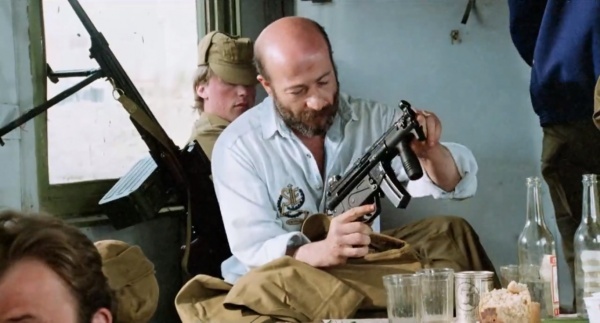 Nikolai finds Heckler & Koch G3A4 rifle in the weapon cargo of the Jaffar's caravan, and used this in the nightly shootout with gangs, when his RPK is empty. 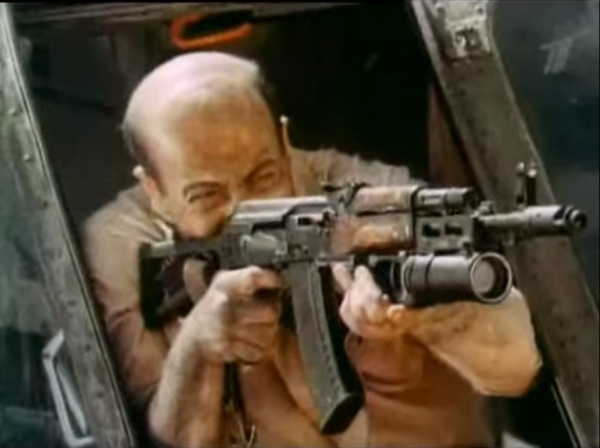 Nikolai used H&K G3A4 in the nightly shootout. 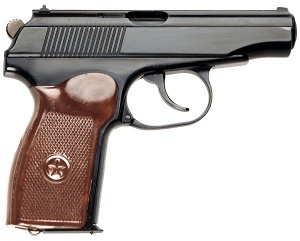 One of the weapons, which Nikolai used in nightly shootout, is a SA vz.58. 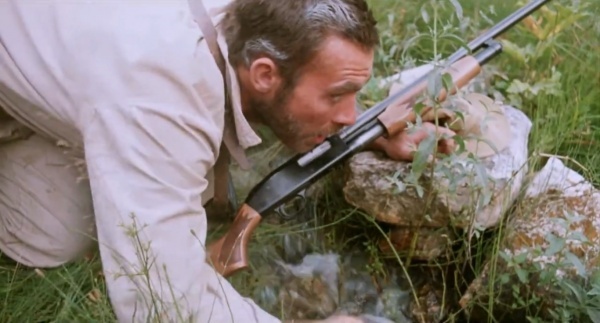 Nikolai (Sergey Veksler) used Mossberg 500 on hunting in the beginning of the movie. 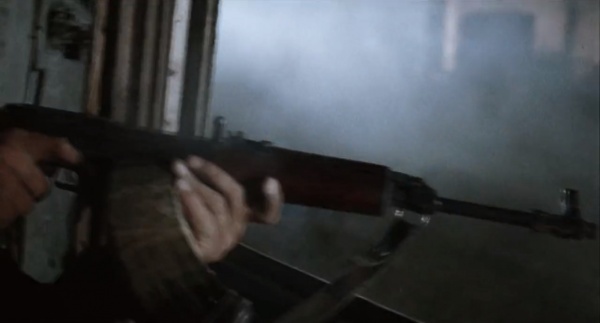 Nikolai uses in the night shootout with Jaffar's bandits RPK LMG. 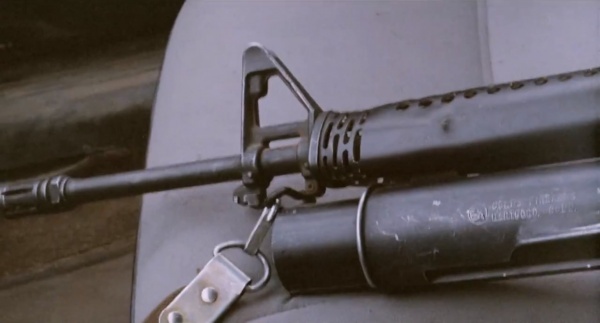 The PKM machine gun is seen among the gang's weapons, and later is used by them during the night shootout. 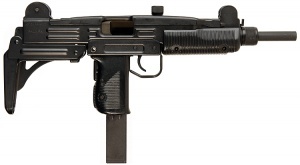 UK vz. 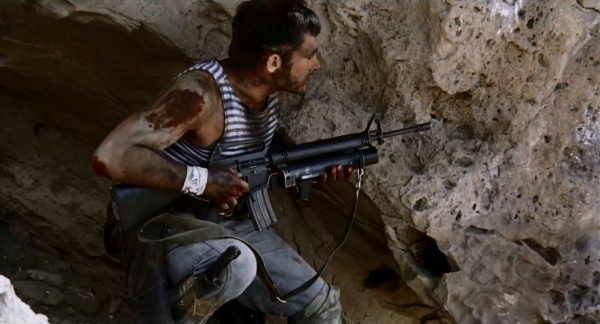 59 machine gun seen on the wall of Jaffar's base. 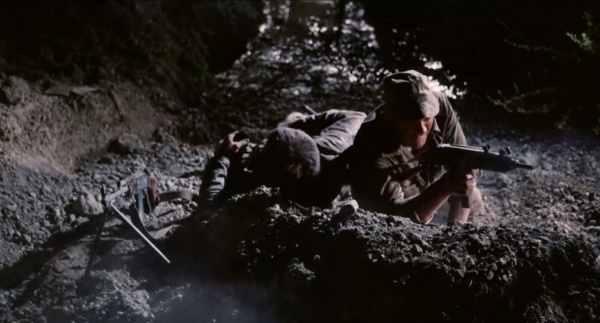 Nikolai uses against Jaffar's bandits RPG-7. 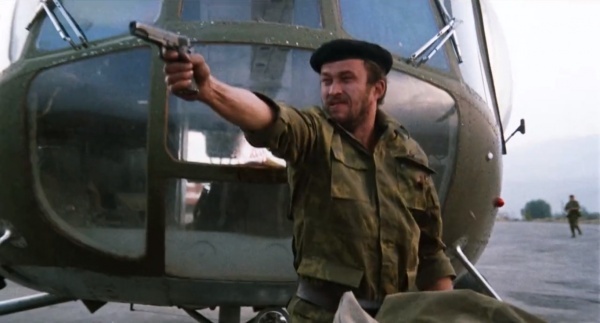 Nikolai uses the RPG-18, to destroy bandits.